Radial Timber Screen Boards are produced from narrow sections of durable timber and provide a cost effective solution to household security, privacy or climate control. Screen Boards do not require chemical treatment and can be supplied in a wide range of fine sawn or dressed (DAR) boards. Both bevelled and square edge profiles are available in random, set, or precision docked lengths (see Figures 1a & b). Radial Screen Boards are typically sawn from naturally durable regrowth hardwoods such as Silvertop Ash, Southern Mahogany or Yellow Stringybark (ie. Class 2 durability). Other species (inc. Class 1 durability) may also be available on request. Both Class 1 & 2 timbers are suitable for external use. 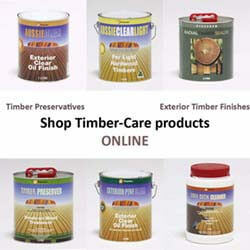 All timber is supplied as standard and better and is not select. Small tight knots, gum veins, splits, ambrosia (pin hole) and other marks are acceptable features that sometimes occur in boards. Timber is graded in accordance with AS27462 – 1994 Australian Standard Part 2 Grade description. Unseasoned (sawn) Screen Boards are produced to order and generally require 2 – 3 weeks lead time from confirmation of order. A range of seasoned (DAR) boards are kept in stock, however, additional lead times may apply on some sections depending on supply and machining program. All Screen Boards can be supplied in random length packs of between 1.5 to 5.4m for dressed boards; and 2.7m â€“ 5.4m for unseasoned sawn boards, Set Length Packs which will need sorting from random packs to a minimum length, ie. If 1.8m ordered â€“ lengths of 1.8, 3.6 or 5.4m may be supplied (a surcharge and additional lead times will be applicable to all set lengths orders). Precision docked to order in lengths ranging from 1.2 to 3.6m can also be ordered (a surcharge and additional lead times will be applicable if precision docking is required). Setting up:Â Radially sawn Screen Boards can be fixed wide or narrow face out (NOTE: in most cases, they are fixed narrow face out). Depending on the thickness, Screen Boards can be fixed to rails or supports at centres of up to 1200mm but closer spacings will minimise movement or distortion (ie. 600 to 700mm max. centres would be advisable when fixing 19mm to 25mm thick timber). Installation:Â The spacings allowed between seasoned DAR boards will depend on the desired look or function of the screen, however, a minimum spacing of 5mm should be allowed for swelling (NOTE: most privacy or sun screens are spaced at approx. 10mm). Unseasoned screen boards will shrink approximately 7% across their width so this should be considered when designing a screen. Fixings:Â Boards can be hand nailed, gun nailed or screw fixed. Fixings should be at least 50mm long for 19mm to 25mm thick boards and at least 65mm long for 30mm to 50mm boards (NOTE: it is advisable to use stainless steel or hot dipped galvanised ring shank nails when fixing boards into treated pine, or twist shank nails for hardwood). Bevelled edge profiles may be â€œsecret nailedâ€ by skewing fasteners through the sloping sides but face fixing will give the best results. Pre-drilling may be required when fixing seasoned boards. Seasoning & Storage:Â Some surface checking may occur if timber is exposed to the weather but these non structural cracks are typical in most Australian hardwoods. It is also normal for hardwoods to leach red/brown extractives during heavy rain periods. Extractives tend to be less prominent in lighter species but it is advisable to cover or protect walls and paving until all extractives have leached (can vary depending on rainfall but will generally continue for up to 6 months). Packs should be stored up off the ground and under cover or protected with an additional tarp to prevent swelling. If wetting does occur, allow a min. of 24 hours for timber to dry before fixing. Radially sawn screen boards provide a unique alternative to imported rainforest and treated pine products and have been used in: feature walls, picket fences, balustrades, privacy screens, sun screens & pergolas. For images of Screen Boards visit our featured project gallery or gallery. All unseasoned screenboards will mark and stain easily especially when they come into contact with rain or metal. They might be already stained when delivered to site. It is best to clean boards down with a 5% solution of oxalic acid after installations to obtain a clean timber surface (we can supply oxalic acid). All exposed, externally fixed cladding will tend to fade to a silver grey colour if left uncoated. The degree of greying will vary depending on the amount of exposure to sun, wind and rain. The timber used in this above ground product has natural durability and when used in conjunction with good building practices, should generally not require additional treatment against decay. Native timbers should be offered some weather protection while acclimatising to local conditions. Radial Timber recommends the application of an oil based sealer or decking finish on external timber (especially if unseasoned or fixed during extreme weather conditions). There are a variety of treatments, stains and coatings available and most can be applied prior to or shortly after fixing. For more detailed information, please call us on 03 9768 2100.